When The Walking Dead: The Final Season was named, it only referred to the end of the series and the end of Clementine’s story. Now, as Telltale Games begins a “majority studio closure” and has laid off hundreds of workers, the title takes on new meaning. It’s all the more tragic since the latest episode is some of the best Walking Dead we’ve had. The Final Season’s first episode presented an interesting, intimate scenario. Clementine and her AJ arrived at the Ericson Academy, a run-down school populated by a community of young children. They established themselves within the community and built relationships with a strong cast of characters. It was a welcome departure from previous series, which moved quickly from location to location. Ericson started to feel like a home, which made it all the more shocking when AJ shot their leader Marlon at the end of the episode, after it was revealed he sold other children to raiders. Episode Two, “Suffer the Children,” builds upon that tension to craft strong character moments and well-directed action sequences. Much of this has to do with how much time the episode gives to each character in the aftermath of AJ’s misguided murder. We see the wisecracking jokester Louis rocked to the core by his best friend’s death, help the once-aloof Violet as she tries to keep order, and manage AJ’s regret as he comes to terms with his actions. The episode is full of quiet character moments, as the Ericson community prepares for coming conflict with the raiders and, for a time, outcasts Clem and AJ. It doesn’t get bogged down in introspection, however, finding time to introduce new characters and bring back familiar faces. Highlights include a reclusive, zombie skin-wearing survivor named James and the return of season one’s Lily, now leader of the raiders assaulting Ericson. It’s hard to think of a more well-rounded cast of allies and villains. It’s grueling to think this season seems doomed to incompletion. Clementine is given opportunities to grow in important ways through the episode. Chief among these is the chance to start fledgling romances. In my playthrough, that meant exploring young love with Violet. Nothing about it seems forced, and each interaction was handled with care. It’s not the forced romance you find in many games, but something raw. I believed in the raw relationship that formed and appreciated seeing a different side of Clementine. 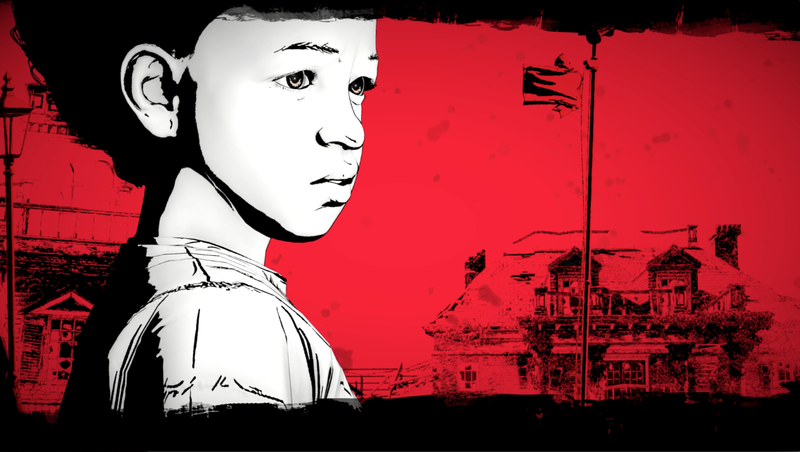 ver Beyond romance, Clem’s relationship to AJ also grows, allowing the series to explore her (and the player’s) thoughts about death, community, and even parenthood. Clem and AJ’s don’t simply react to the plot; they engage with it and with the world they’re in. It’s resulted in moments of honesty that the series hasn’t really managed before now. “Suffer the Children” intersperses crucial character development with compelling combat encounters. The first episode revised how melee combat worked, allowing free movement and stressing smart positioning against walkers. Here, Clementine receives a bow to fend of zombies and raiders. A standout siege sequence transforms into a third person shooter that forced me to scan for the best targets and avoid tunnel vision lest a walker grab me from behind. Traditional quick time events, when they occur, are fast and confident. There’s a sense that the team at Telltale had finally achieved comfort with their signature format. It even extends into dialog, where match cuts and strong camera angles help drive the pace in intense moments. It’s this confidence and comfort that makes the series’ fate bitter. Telltale’s sudden firings came right as its flagship series had reached a new high point. The company hasn’t said whether they’ll finish The Walking Dead: The Final Season, but it seems unlikely. Instead of pressing forward, presumably to equally impressive effects, hundreds of workers find themselves without jobs or severance. I don’t know what’s going to happen to The Walking Dead, but the series, and especially the talented people who breathed new life into it, deserved better.